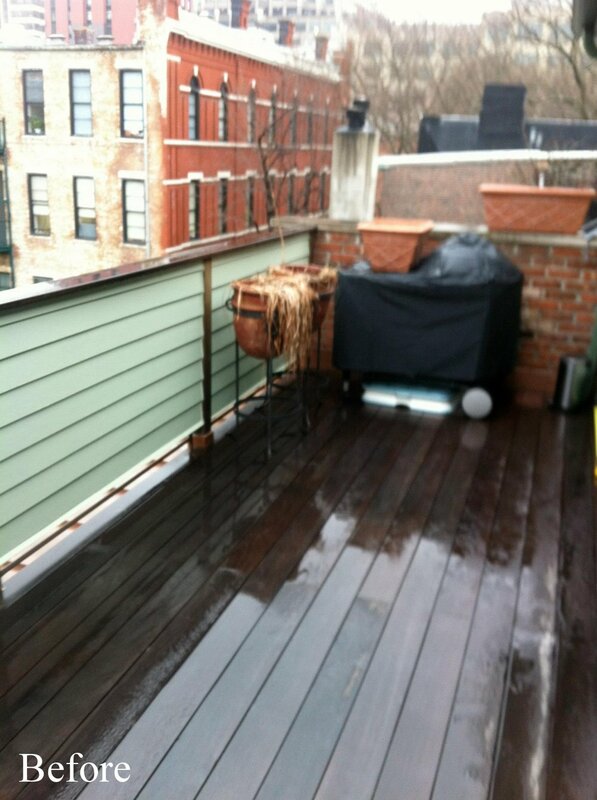 This small city balcony off the master bedroom was a blank slate. 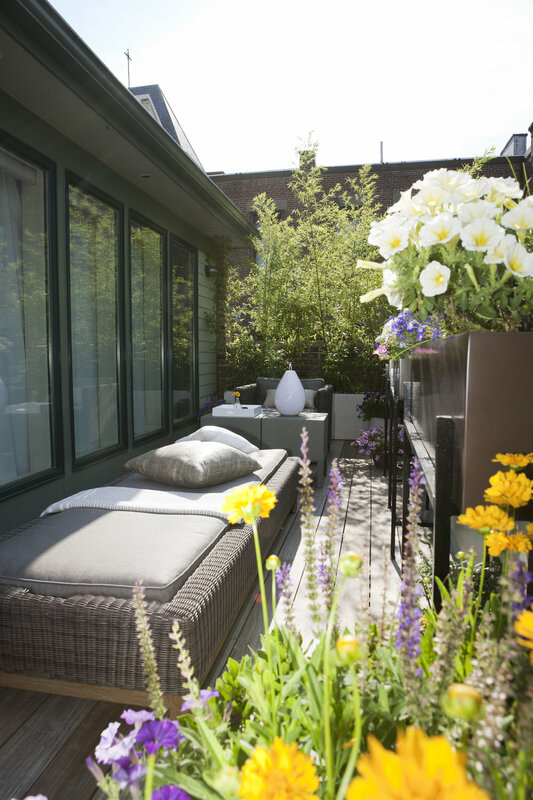 Our client desired a space they could relax, entertain, and garden in. All of the plantings had to be 100% dog friendly in order to keep our clients’ three curious poodles safe. The space also required privacy from the neighboring buildings. Our Design aimed to create a polished space with convertible elements in order to optimize the small footprint. 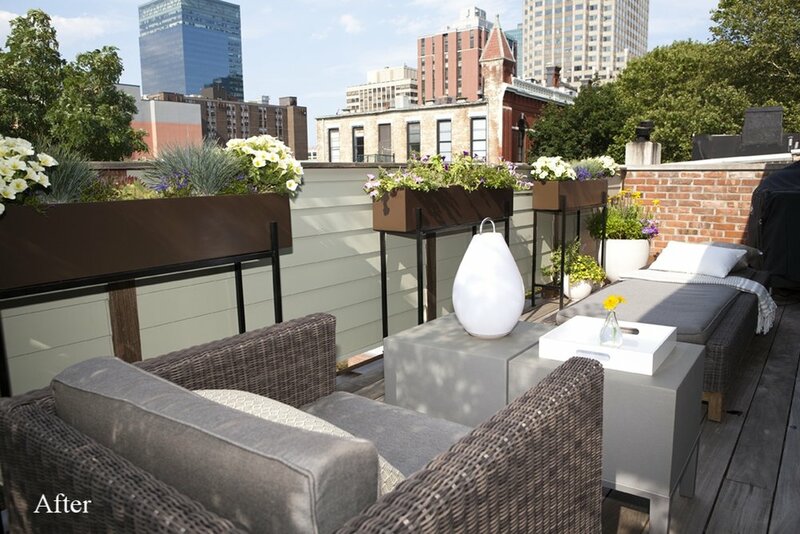 We included: large planters with custom iron stands; multi-functional furniture; accent lighting; a small fountain; and large bamboo troughs for privacy.